Las Terrenas dive sites are accessible by boat ( 15 to 25 minutes boat ride) and offer a variety of dives suitable for all levels and interests. Boat usually departs at 8:30am and returns around 1 to 2 pm after a double tank dive. than the Caribbean Sea and some of the dives are reserved to seasoned divers. Most of the diving in Las Terrenas takes place from small to medium speedboats ( 8 divers max). The best dive sites of the area are around the ballenas islands or in Portillo zone. Some of the reefs of the area are also great for exploration dives or lion fish hunting. Minimum of 2 participants to organize the day. If the minimum number of participants is not reached, you will have the choice in between an alternate date, an alternate site or a full refund. 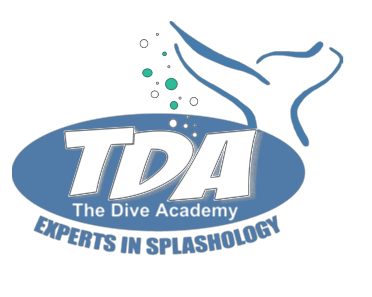 Open to Open Water or Advanced certified divers from all agencies. Proof of certification will be required to complete the booking. Get in touch with us to know more about those dives, as well as the exploration dives we can tailor-make for you. This tour is a delightful way to spend your day and is suitable for both beginner and experienced divers and snorkellers alike. Explore the underwater wonderland of Samana at two prime snorkelling and diving locations. The first spot is offshore the island of La Farola, where you'll see some corals, starfish, see eggs, trumpet fish and other tropical species. ft. down and the deck is 6 meters / 18 ft. down, with spectacular views from above. lunch a pina colada and chill out time on its white sand beach. Samana city is situated 45 minutes away from Las Terrenas by car. Minimum of 3 divers or 4 snorkelers to organize the day. Dives there are well worth the trip and amongst the best ones in the country. Keep in mind that diving on the northern coast of the Dominican Republic is far different from that of the southern coast. The Atlantic Ocean tends to be rougher than the Caribbean Sea and some of the dives are reserved to seasoned divers. Most of the diving in Las Galeras takes place from small speedboats ( 6 divers max). or boat can depart at 7:30am from Las Terrenas. It takes 1h30 minutes to reach the dive sites in this case. Minimum of 3 participants to organize the day. For non-certified divers possibility to do a try dive from the beach. Laguna Dudu, also called the blue lake is a great destination for a day excursion, for divers or just day trippers. Located close to Cabrera, on the North Coast of the Dominican Republic, thecenote or sink holes consists of different lakes with crystal clear water fresh water, interconnected by different tunnels making it a unique spot for divers. The lake dive is also quite impressive with trees laying underwater, a phantasmagoria experience, straight out of Harry Potter or Lord of The Rings, and gives the opportunity of great photo shots. For the most adventurous, a zipline runs over the main lake, and the 10 meters jump is a great fun. The area has one cave that is said to have been inhabited by a Taino Indian, named Dudu, which is where the area is supposed to have gotten its name from. The other theory about how the name came about is because of the many doubts on the depth of the different lakes. The area has lots of grassy areas, which is great for sunbathing , chilling or look at the wildlife, some hammocks and a volleyball court. You will need to demonstrate control of your buoyancy before entering the tunnels. For non-certified divers possibility to do a try dive in the lagoon.